Are you ready to pit your driving savvy against six international courses? Pick one of eight mean machines and let's go! 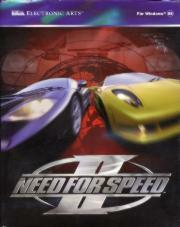 Need for Speed II is fast and realistic with detailed 3D graphics and full-circle view. And when you think you're ready try the two-player split-screen mode for teeth-grinding competition!